hello creative friends! It's been a busy summer here in my studio. I designed a new collection of art journals, taught a weekend Printmaking Unleashed workshop at my studio, and I've been working hard on a BIG project...designing my BRAND NEW education website! 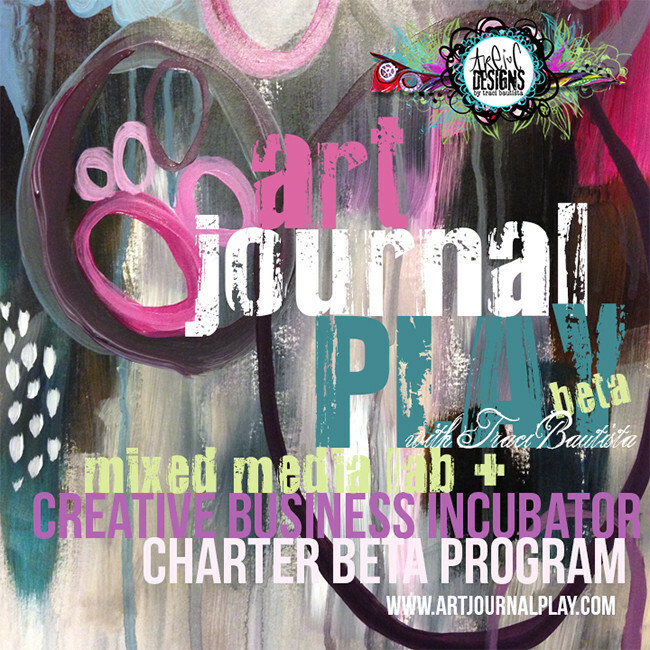 art.journal.PLAY mixed media lab + creative business incubator is launching in fall 2015! As you might know I moved into a new studio space earlier this year and I've turned the walls into inspiration boards full of my photos, covered with collections of images, color swatches and paintings that I'm working on. Everyday I spend time writing out my ideas and collage the walls with my mind maps, lists and brainstorming notes. On one of the one of the walls I've taped notes for my upcoming product launches and website plans...super excited to share them with you! 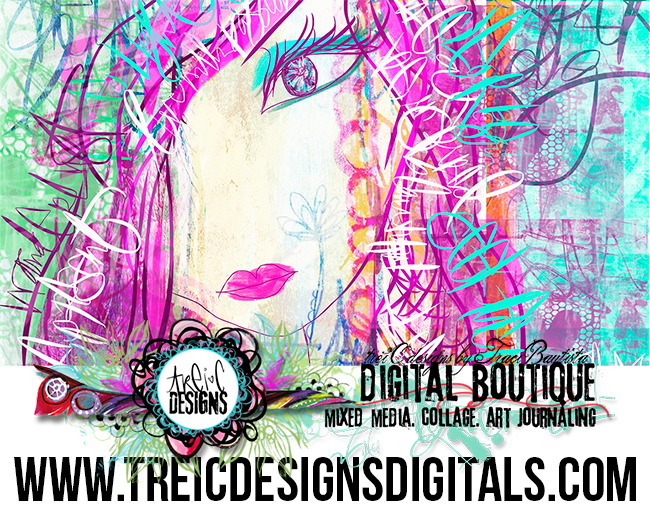 As much as I love pushing paint on the canvas, I LOVE the creative business visioning part of being an artist. Throughout the years, I've developed a number of strategies for my ideation process and will be teaching these in an upcoming creative business online workshop and e-book. I reserve most Fridays for studio days, where I spend the day painting...I LOVE to paint on multiple yards of drill cloth and I use the walls as my easel. It's perfect for working LARGE! Parlez-vous français? 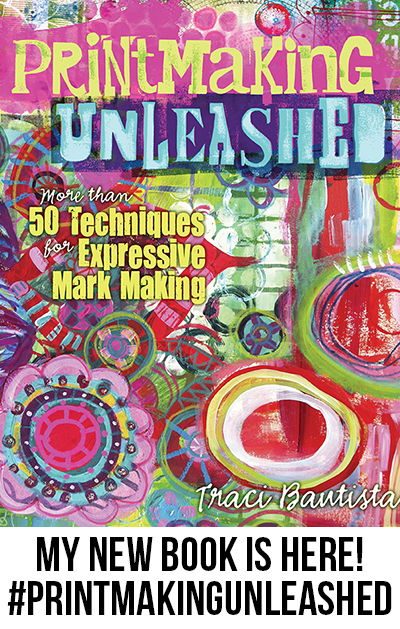 Exciting news...I received a copy of the French language version of my book Doodles Unleashed!! Le Gribouillage Creatif is now available! There is also a German version called Doodel-Design...happy doodling! Last but not least...my sweet little studio companion sleeps while I design the new website. hope you are enjoying your summer and spending time painting! don't forget to take breaks, PLAY and get outside to EXPLORE! ELEVATE your art to the next level. make money from your creative passion. 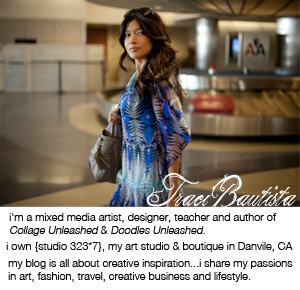 creative IDEAS that encourage you to infuse your own style, create unique artwork and build a successful business on your terms.